Nettle Meadow Farm is one of our favorite spots to visit. It’s out in the middle of nowhere in the Adirondacks, just catching the shadow of Crane Mountain. The quiet, wooded area of the farm boasts not only a creamery, but also a 1903 cathedral-style historic barn for events, a quaint cabin to accommodate farm stays, and an animal sanctuary. Animal sanctuary, you say? Nettle Meadow is home to more than 300 goats and dozens of sheep, as well as several ‘guard llamas,’ chickens and ducks. Animals with special needs and those seeking retirement are accommodated in Nettle Meadow’s four large barns. There they can live out their golden years, grazing on hay, grains, wild herbs, raspberry leaf, and wild garlic. Not a bad life, ey? Below are Nettle Meadow’s award-winning cheeses listed by type. Sheila and Lorraine use the homestead milk from their farm for their cheeses first, and then fill in the gaps with their neighboring farms. Though most of these varieties are tried and true, some are seasonal. 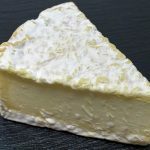 If you’d like to check our availability on any Nettle Meadow cheeses, please contact us. 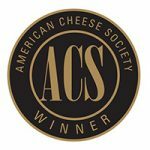 If you’d like to learn more about local cheese or cheese specific to New York, visit our Cheese Products page. All fresh cheeses are available in 5 oz cups, or in bulk packaging of one or ten pound tubs.